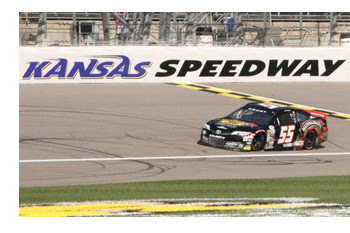 Concord, North Carolina (October 21, 2017) – The 2017 ARCA Racing Series presented by Menards racing season came to a conclusion Friday night with Venturini Motorsports wrapping up its 35th year of series competition at Kansas Speedway. ARCA’s last dance featured three familiar drivers coming out of VMS’ driving stable – Spencer Davis, Natalie Decker and newcomer Cole Rouse. The three-car effort was led by Spencer Davis who drove his No.55 Musselman’s BIG CUP Applesauce Toyota to a seventh place finish, Natalie Decker finished 12th and Cole Rouse completed his second series race in the 13th position. Davis, 18, competing in his seventh race of the season for VMS notched his best finish since finishing third in his series debut back in May at Talladega Superspeedway. Natalie Decker, 20, made headlines prior to her seventh series start of the season, announcing plans to run the full ARCA schedule with VMS in 2018. 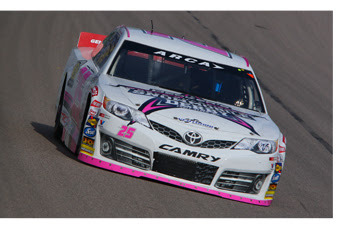 The driver of the No.25 Yo Cool Frozen Yogurt / N29 Capital Partners Toyota Camry held her own during her first visit to Kansas Speedway, finishing 12th and bringing home her sixth top-15 in seven season starts. Decker’s next event will be the ARCA season opener in February at Daytona International Speedway. 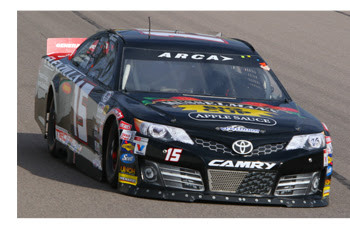 Cole Rouse, piloting the No.15 Toyota Camry with support from Musselman’s BIG CUP Applesauce and Flexzilla rounded out VMS’ team effort finishing in the 13th position at Kansas Speedway. Rouse, 20, made just his second ARCA Series start of his career. The Fort Smith, Arkansas native was recently crowed the CARS Tour Super Late Model Champion driving for Kyle Bush Motorsports. The next scheduled activing for the ARCA Racing Series will be a two-day composite body open test at Talladega Superspeedway November 7-8. Venturini Motorsports will participate and will announce which drivers will participate in the coming weeks. The 65th annual national championship awards banquet follows in Indianapolis on December 9th.